I know I’m about to stir up some controversy around here, but you can keep your Great British Baking Show. After catching a sneak peek, my vote is for the new weekly series, Martha & Snoop’s Potluck Dinner Party, which premieres tonight, Monday Nov. 7 at 10/9c on VH1. For the premiere, Stewart and Snoop Dogg compete to see who makes the best fried chicken. At stake is a blinged-out Fried Chicken Championship belt. “I don’t know who’s going to be more fried by the end of this show,” Stewart teased, “my chicken or your chicken.” Yes, there were a million pot jokes in this episode. But both hosts brought their best chicken game, which means we were able to grab some valuable tips from Stewart and Snoop. Snoop mixed up what he calls The Laid Back: Tanqueray 10, Apple Cîroc and pineapple juice topped off with ginger ale. We recommend sipping slowly since you’re going to be working with hot grease pretty soon. After the brine you want to soak your chicken in a bath of buttermilk and a half teaspoon of cayenne pepper. Stewart added some Tabasco sauce and salt. 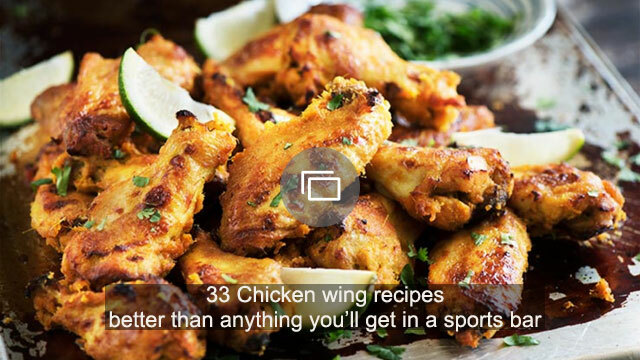 Snoop’s fried chicken game is all wings. He discards the wingtip and then separates the rest into wingette and drum pieces. It’s not all about white for Stewart. She prefers black pepper in her fried chicken coating. Not that this plays into your own fried chicken game, but FYI: Martha Stewart says she gives her chickens a little vodka before beheading them. Moving on! Snoop crumbles barbecue-flavored potato chips over his chicken before dredging it in flour. Yessss. Snoop and Seth Rogen wore sparkly glitter goggles while frying their chicken. Stewart just uses a splatter guard. Snoop says, “I don’t need a timer. I just look at the grease. The grease is gonna tell you when it’s done.” Stewart puts a meat thermometer into her first piece to make sure the chicken is thoroughly cooked (165 degrees F internal temp). “The great thing about Snoop is, he never stops touching his food. I like that,” Stewart says. “I love my food. My food’s gonna love me back,” Snoop replied. We’re not going to spoil the ending for you. 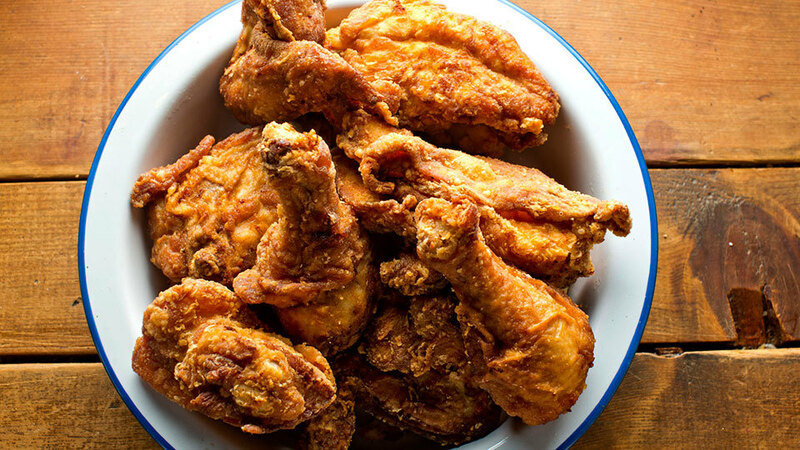 You’ll have to watch the show to find out who wins the Fried Chicken Championship belt. 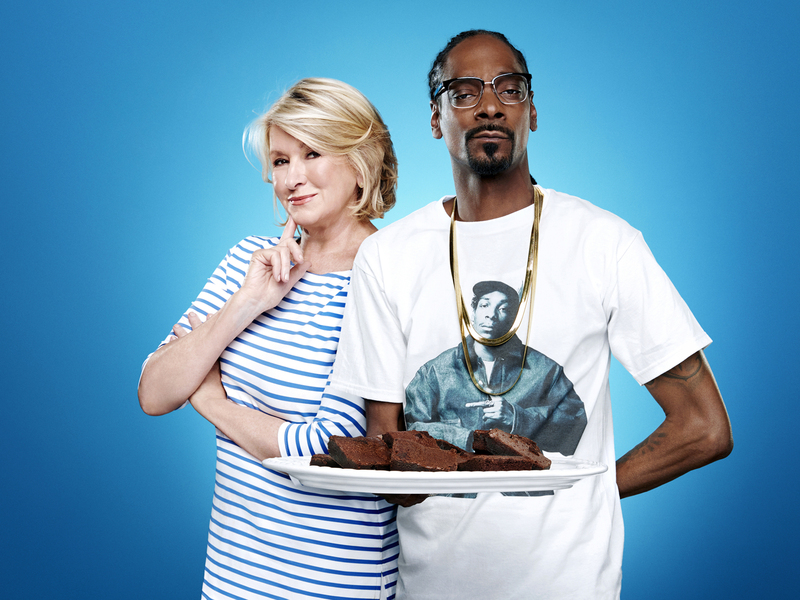 Martha & Snoop’s Potluck Dinner Party premieres tonight, Monday, Nov. 7 at 10/9c on VH1. Each will put a personal spin on dishes for a themed meal. Guests include Seth Rogen, Wiz Khalifa, Rick Ross, Jamie Chung, 2 Chainz, Naya Rivera, Ashley Graham, Jason Derulo, 50 Cent, Fat Joe, Mike Epps, Kathy Griffin, Kelis, Ashlee Simpson & Evan Ross, Keke Palmer, Robin Thicke and Bella Thorne. Joining the fun are Ice Cube, Chris Bosh, Chef Morimoto & Chef Hiroki and DJ Khaled. Martha & Snoop’s Potluck Dinner Party will also feature musical guests D.R.A.M., Dreezy, October London, the Long Beach City College Marching Band, Remy Ma & Fat Joe and Anderson Paak.